Blass has posted yet another image of the Galaxy S9 series, this time of the S9+ in Coral Blue. ...and (by popular demand) Coral Blue. We've been speculating about the S9-series' camera setups for some time now, what with their 'Super Speed' and 'Super Slow-mo' designations, as well as a mention of variable apertures. 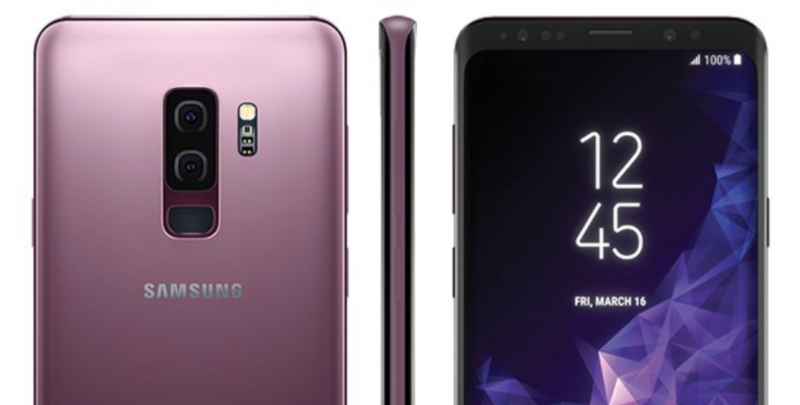 CAD renders from back in December showed off one camera on the S9 and two on the S9+, and those seem like they were accurate. It'll be interesting to find out what the secondary sensor on the S9+ does; I'm personally hoping it's for wide-angle shots, but it could be for a zooming effect à la iPhone 7 Plus or something else entirely. The date of March 16th on the lockscreen may point to when the phones may become available in some regions. Even if the phones' backs have been made a little more unsightly, hopefully the numerous improvements to the whole camera system will make that worthwhile. Speaking of sight, Intelligent Scan should handle upgrades in security, though it'll probably be used less now that the fingerprint sensor is more easily reached. Blass has posted yet another image of the Galaxy S9 series, this time of the S9+ in Coral Blue. He also elaborated that the Lilac Purple would look lighter in person than in photos, which you may or may not be happy to hear depending on your first impressions of that render. Either way, it's nice to see that Samsung is maintaining a portfolio of colors for its upcoming flagships.